This is the eleventh Report Card and the third under A Programme for a Partnership Government. Again this year, our independent panel of experts graded the Government’s performance.The Government is awarded an overall ‘C’ grade for living up to its promises to children, an increase on last year’s ‘C-’ and a significant improvement from the ‘D+’ grade that was awarded in 2017. This grade represents a satisfactory attempt, but some children are still left wanting. The highest individual grade in Report Card 2019 is an ‘A-‘ for ‘LGBTI+ Children and Young People’, with the lowest grade being awarded for ‘Child and Family Homelessness’, receiving an F. ‘Physical Health’ received a ‘B’ grade. However, two sections received a ‘D-’ grade, which indicates barely acceptable performance , with little or no positive impact on children: ‘Traveller and Roma Children’ and ‘Mental Health’; The Children's Rights Alliance acknowledges the important groundwork that has been carried out in a number of areas, but it is clear that much more must be done. Children's Rights Alliance. 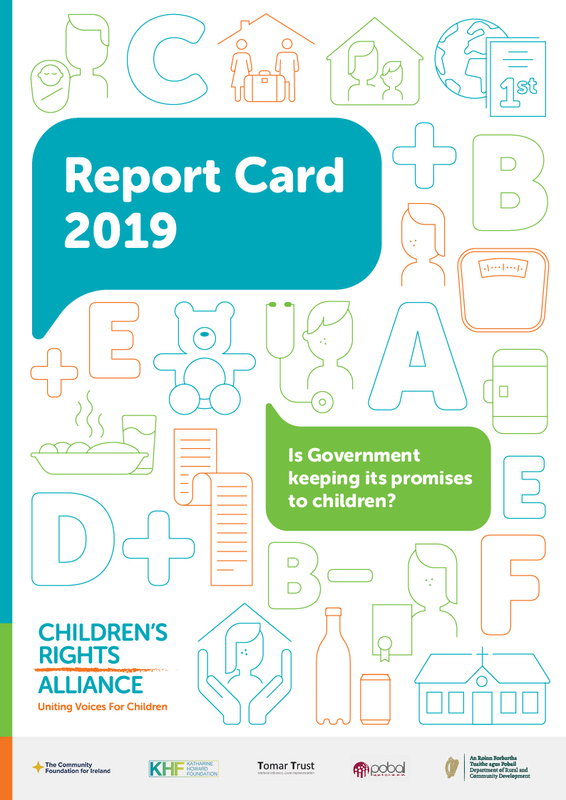 (2019) Children's Rights Alliance Report Card 2019 [Online]. Available from: http://publichealthwell.ie/node/1243938 [Accessed: 21st April 2019]. Childrenâ?Ts Rights Alliance report card 2015. Children&#039;s Rights Alliance report card 2018.